Essex Premier were knocked out of the Inter County Championship quarter-finals by West Sussex 25-15, at Daventry Indoor Bowls Club. West Sussex despatched the Essex side in three sessions, to reach only their third semi-final in their recent history. Essex manger David Chittock stuck with the majority of the side that overcome Herefordshire, which left some regular Essex players out of the side. Essex got off to a miserable start, as Alan Jones lost 24-3 to Jack Rollings. In the pairs, Shirley Walker and Greg Wade were beaten by the West Sussex duo 21-6. With Babs Morokutti and Keith Paxman also going down 16-12 to the West Sussex pair. Antony Fautley was the only saving grace for Essex in the opening session, as he edged out Chris Page 13-12 which gave West Sussex a 6-2 lead. In the second session, West Sussex continued to dominate as they beat Ian Arthur, Linda Lambert and Mark Chittock 18-4. Mo Binstead, Alan Kay and Tony Ealham responded as they won 14-8. In the fours Essex again struggled, as Shirley Banner, Sheila Booker, Roger Booker and Phil Banner were heavily beaten 14-4. In the other four, Pat High, Emily Poulter, Steve Killington and Mitchell Young were held to a 11-11 draw. West Sussex then gained a healthy 11-5 lead into the break. Essex made changes at the break, as reserve Paul Bax was substituted into the singles in place of Alan Jones. Ian Arthur also moved into the pairs with Shirely Walker. Shirley Banner sat out, as Linda Lambert slotted into the four and Jones into Mark Chittocks triple. West Sussex secured the victory after the break, as Rollings edged past Fautley 13-12. Substitute Bax ran Page close but was also beaten 14-10 and claimed the bonus points. In the pairs Morokutti and Paxman also were defeated 18-5. The newly formed pair Walker and Arthur was the only win of the third session for Essex, with a healthy 16-6 victory but lost the pairs bonus points. To claim the overall match 21-7. Despite the defeat Essex played on and made the scoreline slightly more respectable, as Binstead, Kay and Ealham won both their matches of the day with a 13-8 win. The other newly formed triple Wade, Chittock and Jones also won comfortably 16-5, which overturned the bonus points in the triples. In the fours High, Poulter, Killington and Young came from behind to nick the win on the last 13-12. The final four to finish Booker, Lambert, Booker and Banner lost out on the final end as they lost 14-12 for West Sussex to take the bonus points in the fours. West Sussex will now face Cornwall in the semi-finals in two weeks time. With the other semi-final being West Midlands vs ICC reigning champions Norfolk. This entry was posted in Short Mat Bowls, Sport and tagged England Short Mat Bowls, Essex short mat bowls, short mat bowls. 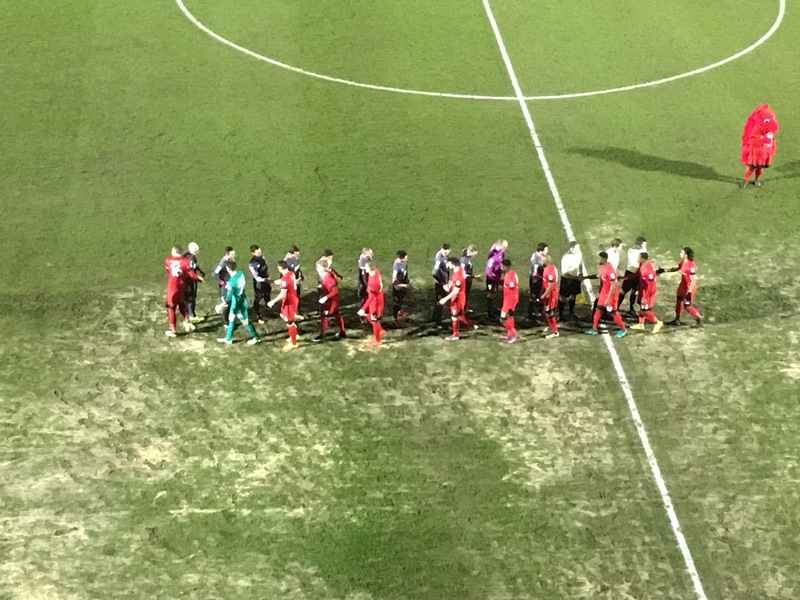 Leyton Orient suffered a narrow 1-0 home defeat to Morecambe, as their task to remain in the Football League gets that much tougher as they remain in the relegation zone. A Paul Mullin’s second half effort from range was the only goal of the match that sealed all three points for the visitors and extend their unbeaten run to five games now. Danny Webb made two changes to his sides that lost 2-1 at home to high-flying Carlisle at the weekend, as Yvan Erichot replaces Callum Kennedy and Victor Adeboyjo got the nod for his first league start ahead of new signing Rowan Liburd. Gavin Massey got the crowd off their feet early with an opperutnity four minutes in, as his low cross found Nigel Atangana but he could not make the right connection as it trickled through to Barry Roche. Morecombe threatened after Orient’s early pressure, as the ball came to the far post for Kevin Ellisons’ to strike but was headed away by Tom Parkes. Erichot made a huge crossfield pass to turn defence into attack, which found Sandro Semedo – he burst into the box and hit his low cross which was stopped by Roche and out for a corner. 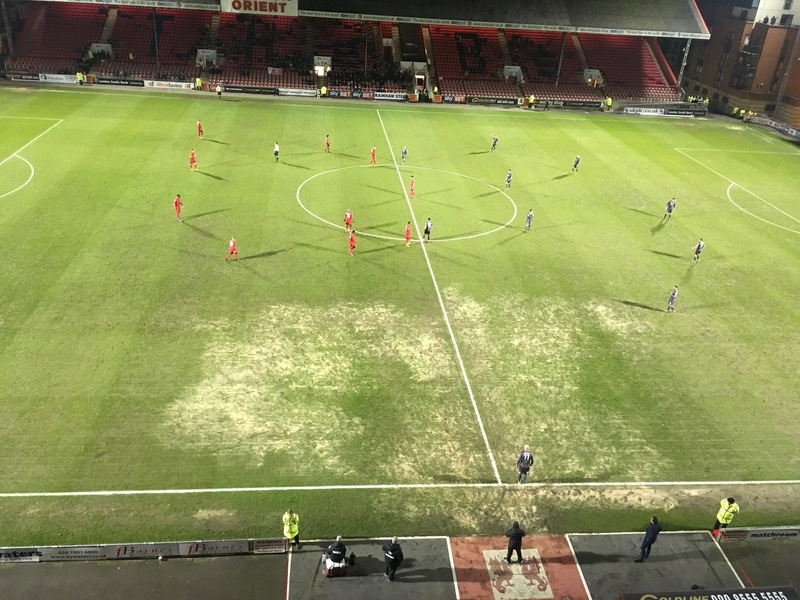 Orient worked a great chance and were almost rewarded with a goal on the half hour mark, as Collins slotted in Massey whose shot with the outside of his boot was pushed around the post by Roche. From the resulting corner, the ball fell to Collins inside the box and his snap shot went just the wrong side of the post. The O’s heaped even more pressure on the Morecombe defence, as Semedo’s corner was met by Parkes at the back post but headed straight into the arms of Roche. The hosts almost broke the deadlock just before the break, as Massey flashed a low ball acorss the six-yard box just out of the reach of Sam Dalby and Adeboyejo. In the second half, Orient again were the dominant side and set the pace with Myles Judd advancing on the edge of the area clipped the ball back to Semedo whose shot was tame. Morecombe so nearly got the opener, as Ellison was played through one-on-one and his shot was superbly stopped by Sam Sargeant to deny the away side the lead. Orient used the same cobination again form the corner kick, as Semedo’s whipped in ball was headed just over the bar by Parkes. Morecambe still showed their threat on the counter attack, as Paul Mullin early ball into the box was turned just over the bar by substitute Rhys Turner. The visitors struck 72 minutes in, as Mullin had the ball on the edge of the area and whipped his shot into the top corner, to stun the O’s. Orient pushed for the equaliser but struggled to create a clear cut chance, as they remain in the bottom two. This entry was posted in Football, Sport and tagged EFL, League Two, Leyton Orient, Morecombe FC.